At the 2003 National Qigong Association conference in Asheville, North Carolina, I was asked about the difference between martial arts and Qigong. The querying practitioner followed both of these practices and pointed out that they appear to be such different disciplines that their respective intentions must also differ. The practitioner wanted to know how I reconciled this seeming discrepancy. I was able to answer my colleague only briefly. Based upon my training and experience there is no true difference. Although at first glance, Qigong and martial arts may appear to be separate entities, at a deeper level of practice, they are really the same– especially with respect to use for healing and spiritual cultivation. Due to the shortness of time, I was not able to provide greater detail in my answer. At the same conference, I met with Frances Gander, editor of the Journal of Martial Arts and Healing. She invited me to write an article for this magazine. I view this article as an opportunity to provide a more in-depth answer about the relationship between Qigong and martial arts. Wu is commonly translated as “martial.” The character is constructed of two radicals: one means stop and the other means weapon. The original meaning of Wu is “to stop fighting.” Shu means an art, technique, or method. In other words, Wu Shu really means the art or technique of not fighting at all. The most skilled martial artists not only find it unnecessary to kill, but will also stop others from fighting. [i] Martial arts were created and perfected long ago; they are modeled after patterns of basic life. The prehistoric Chinese lived in accordance with nature, hunting for their livelihood and even sometimes fighting for their lives. For this life, it was necessary for them to understand their intentions, potential, and of course their own bodies. These people also had to understand their enemies — their strengths, their techniques, and the means by which they might best be controlled. On the other hand, ancient China was beset by wars between the varied states and tribes. Living in such conditions compelled these people to create training techniques for self-defense and sometimes for attack. The sages or the great shamans who lived during this time also created movement to help others understand the Universal Way. They discovered that the virtue (function) of Heaven is to protect and preserve all life and to give birth to the ten thousand tings, so the spiritual goal of the martial artist is to follow the Heavenly way, the way of peace. These movements were intended to bring people closer to the Dao because martial arts could be used to save a life or bring peace in war. (This sort of war, let us remember, was only waged to help maintain the greater peace. There are possibly hundreds of martial arts schools in China: large schools such as the well-known Shaolin, Wudang, and Emei schools, and smaller schools that teach a particular family’s style or form. Different masters have their own training styles and techniques. Regardless of this, at the very deepest level all schools work with the Shen or spirit. At their highest degrees, all of them emphasize cultivation of the Shen in order to connect with the Universal Way. How to cultivate the Shen? How might one reach this highest level? Engaging in this level of practice is no different from the highest levels of Qigong practice. Let us examine how the concepts of Qigong can help us fathom the deeper knowledge of martial arts. Qigong is a traditional method of physical, mental, and spiritual cultivation. Qi is usually translated into English as “vital energy.” The existence of the universal Qi is like a musical rhythm. Even if we can’t see it, we can feel it in our bodies and in the environment through a deep heart/mind connection. Classical Chinese culture is a Qi culture. [ii] According to classical Chinese philosophy, Qi is the most basic and important material in the universe. Qi is the original energy of the universe and follows the laws of the cosmos as it cycles between tangible and intangible forms. Guanzi管子 (d.645 B.C.E.) described the Qi in his Neiye 内業 (Inward Training) as below. This what gives them vitality. It becomes the arrayed stars above. We refer to it as ghostly and spiritual. Qigong is a practice for cultivating knowledge and a main method for moving into Tian Ren He Yi 天人合一 (the state of oneness of the universe and the human being). Qigong is translated into English as “Qi cultivation” or “to work with the Qi.” There are many forms of Qigong practice: sitting meditation, breath work, regulation of mental focus and emotions, visualizations, mudras, mantras and movement — including Taijiquan and other martial arts. Qigong facilitates the development of a deeper relationship with Qi. This relationship helps the practitioner understand the laws of the universe and how they influence human life. With the basic concepts of Qi and Qigong, we may find it easier to understand the way of spiritual cultivation in martial arts. The tradition of martial arts or Qigong training can also help us understand the original principle of martial arts and Qigong. Entering into traditional study with a master is like joining a family. The Chinese saying Shi Fu Ling Jing Men — “upon entering through the door and into the family, one needs guidance from the master. Those desiring to study request the master to accept them. Once the master agrees, a deep relationship grows between the two. This system is quite different from today’s school system where one merely pays to attend classes. This is illustrated by the saying Yi Ri Wei shi, Zhong Sheng Wei Fu – “One day with my master is like an entire lifetime with my father.” This traditional relationship is similar to a family lineage. The words “school” of martial arts, Qigong, or other classical Chinese arts, in Chinese, are called “men 门 (gate)”– the gate of a family. In other words, a school is like a family in traditional Chinese way. When new students come to the master, the first lesson usually is Wu De. De means virtue – to study the real virtue of the martial artist. A martial arts lesson is not merely a lesson in techniques for defense or attack. De is the way to connect with the traditional (lineage) Qi field and to learn the deeper knowledge. A Wu De education starts with the first lesson and continues for an entire lifetime of training. Martial arts training is the same as training in traditional Qigong. In Qigong this is called Gong De: the virtue of a real Qigong master. Gong De is also used in Chinese to mean a person who always helps others. As a result of this compassion, students build up their own Gong De. A person without Gong De can never be a real master. This De or virtue goes hand in hand with compassion. Such virtue and compassion are absolute necessities in the context of the power of martial arts. Therefore, a true master – of either Qigong or the martial arts – refrains from passing along all his or her knowledge at one time. Special techniques of the lineage are not taught to just anyone. A deserving student must be truly dedicated, possess compassion and integrity, and have the ability to follow the Dao. In very ancient times, even basic techniques were reserved for those who were specially chosen. The knowledge of the lineage comes not from just the master but from the master’s masters – from the ancient sages. This venerable knowledge was meant to be passed down to worthy individuals. Disciples who respect the Dao and the way of Nature will uphold the reputation of the lineage rather than use its techniques for immoral acts or personal gain. The Chinese say Bu Chuan Fei Ren, or don’t teach the person unless he or she is the right one. One who has learned secret techniques but who has a bad heart can bring great harm to the community. My own master forbade me from teaching certain secret lineage techniques unless I could be certain a student possesses the highest virtue. Shi Fu Zhao Tu Di – the master finds the disciple. In other words, the highest level teaching occurs when the master finds the student rather than vice versa. Again, this is true in both martial arts and Qigong. As a reflection of the layers that construct the Universe – Tian (Heaven), Di (Earth), and Ren (Human being)– traditional training in both Qigong and martial arts has three levels. Martial arts training involves a process of strengthening the Yi, Qi, and Li: Yi is the mind, will, and spirit; Qi is the vital energy; Li is the inner force. Yi, Qi, and Li are like the Three Treasures: Jing is Li, Qi is itself, and Shen is Yi. Human beings are made of these three substances (Jing, Qi, and Shen), which in English may be called as Essence, Vital Energy, and Spirit respectively. These Three Treasures are viewed in Daoism as the highest form of medicine for human beings. Jing is linked to the Kidney and symbolizes Yin energy and Earth. It is material and therefore easy to see. Qi is the vitality that results from the transformation of energy between Heaven and Earth. Qi also symbolizes the physical and Qi bodies of human beings. Usually, Qi is more felt than seen. When it is seen, it looks like a vapor or gas, or with practice, it can been seen in different colors. These three layers are connected: Qi may be transformed into Jing and into Shen. Qi is also the energy used to drive this process. The cultivation of Qigong practice links all of these layers. The terms Yi, Qi, and Li illustrate the same concepts. Once a person starts training in a particular martial arts technique, he or shealways works with these same Three Treasures. There are different schools in Qigong and martial arts, so to the beginner, the training may appear different superficially. But the purpose is the same: in the martial arts, before one can develop a good ability to attack, defend, or maintain the peace, he or she first needs a strong physical body. From the very beginning of training, the physical body changes and becomes stronger. Some patients can recover from disease by going through such training. When one practices Qigong and wants to move to the highest level of cultivation, he or sheshould have a healthy body. If one gets sick, he or she cannot sit or stand to do spiritual cultivation. Thus, the first part of Qigong involves the physical body and building health to withstand the rigors of cultivation. Huo Yuan Jia was born in the village of Xiao Nan He near the western border of Tianjin. His father was a renowned boxer who passed his skills on to his sons when he retired. The family was famous for its martial arts lineage. In their village, there lived another family also renowned for martial skills. Every year the two families would hold a competition to display their prowess. But Huo Yuan Jia was the runt of the family and was often bullied by his playmates. The father was ashamed of this weakness and feared Huo Yuan Jia would disgrace the entire family in boxing contests. The old man thus forbade him from learning the family’s Wu Shu techniques. This hurt Huo Yuan Jia’s pride greatly and made him determined to prove himself to his father and everyone else. It was this determination that strengthened his Shen and gave him the wherewithal to change his physical body. Unbeknownst to his father, Huo Yuan Jia secretly observed his father teaching the other family members. In addition, the child attended the other family’s training sessions. This other family also disregarded him as a weakling and a youngster, and they never worried about Huo Yuan Jia. Thus Huo Yuan Jia was able to observe undisturbed. While alone at night he would practice techniques from both families. In this way, he developed into a strapping young adult. One year at the annual competition, an old man jumped into the fighting circle and easily beat both families. No one could beat this unknown old man, and he was declared the champion. As he was about to leave, however, Huo Yuan Jia jumped into the circle and easily beat the stranger – much to the surprise of both families. Today, Huo Yuan Jia is one of the most famous martial artists in Chinese history. This story inspired me when I was young and realized that a weak body could be transformed to be strong through martial arts practice. The importance is that one should understand the healing function of martial arts –changing the mind. Huo Yuan Jia may never changed his heath condition and became the famous martial artist if he just followed his father’s idea – martial art is the parctice for heathy and strong people. Thus, martial arts are not just for those with great physical strength. Even so, one need not engage in war to understand how to use once own medicine – Jing, Qi, and Shen to change the physical body through enough practice. The keystone of this practice is correct posture. Correct posture is a model of life. With the right posture, one can easily win a battle and resist sickness. This is because the Qi is able to circulate and flow without stagnation. Healing is a direct result of this circulation. When his or her energy is strong a martial artist or Qigong master can transmit his or her energy to help the patient. This process is no different from the healing aspect of Qigong. At the middle level of martial arts training, one’s intention is shifted from strengthening the body to developing techniques of defense and attack. It is important to learn how to follow the Dao and to work through one’s opponent. For this, the practitioner must engage in a higher level of Shen (mind and spirit) cultivation. This helps one to understand his or her own body and also the opponents’ bodies. This middle state of Qigong training focuses on strengthening the Jing and transforming it to Qi, and strengthening the Qi to nourish the Shen. The practitioner learns to work with and release disease by using the vital energy to release pathogenic factors. This process is akin to entering into a battle at the Qi level. The disease is regarded the same as one regards a martial arts opponent. Qigong and martial arts processes have the same intent: to focus on the Qi state and understand the flow of Qi. Through this, we will understand more deeply how to release evil influences or how to stop fighting. In China, there are many martial artists who are also Qigong masters and healers. They use the same abilities to assist patients as they do in defense and attack. When treating patients, they use the same intention as when facing an opponent. How to reach this level? The Art of War [v] states, “Know the enemy and know yourself; in a hundred battles, you will never be defeated.” From this point, we can understand that the best way for a warrior or a martial artist in competition is not only skill in a technique or method but also a deeper level of wisdom. This exhibits a true understanding of the Universal Way and is called the Wu Dao: the way of martial arts. In both Qigong and martial arts, the highest focus is Tian Ren He Yi, or returning to the Dao and to the Universal Truth. A real understanding of the Dao or way of the martial arts would lead to the use of these skills as a healing art. The same training can be used for quite different results. From the Shen or spiritual perspective, martial arts may be considered a type of Qigong. The Ji Xiao Xin Shu[vi] (New Book of the [Army or Martial] Discipline Method) by Qie Ji Guang details wartime preparations using armies skilled in martial arts. That is to say, this book discusses using martial arts in the context of a large coordinated group. Most critical is the concept of Ji Wei, which means (1) very small, subtle things, (2) the way of the Heart, and (3) the Law of the Universe or Nature. This was the method used by the Yellow Emperor to guide his army in uniting all of China. 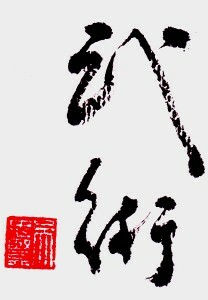 Rather than merely discoursing on combat techniques, Qie Ji Guang underscores the importance of this Ji Wei root. He points out that King Wu used compassion to direct his army. In this way, he won a great war and replaced the Shang Dynasty by establishing the Zhou Dynasty. From this we may learn that true martial arts stem from the Heart, which is the origin of compassion and the Universal Way (Dao). It’s the same as Qigong and Shen (spiritual) cultivation. With wisdom and compassion, a practitioner of martial of arts, may learn to cultivate a kind of reverence for life. Thus,) even the defense and attack techniques could be healing techniques. Such study, technically and philosophically, does indeed harmonize the body, mind, and spirit and bring great benefits for the entire world around us. Zhongxian Wu is the recognized master of multiple lineages of classical Qigong, Taiji, and martial arts. He has instructed thousands of students in the art of Qigong and authored numerous works about Qigong and China’s ancient life sciences. . He is also a sub-investigator of a Qigong research program sponsored by the National Institutes of Health (NIH) in the USA. [i] See “Living the Classical Chinese Tradition — An Interview with Master Zhongxian Wu.” The Empty Vessel. Summer, 2002. [iv] Parts of this narrative on Huo Yuan Jia from “National Hero Huo Yuanjia,” China Sports Publications Corp.
[vi] Written in Ming Dynasty by Qie Ji Guang (a famous general who fought the Japanese invasion) in 1560 AD, this book follows the principles of the Universal Law but also details a new method for wartime preparations.